तर्क और विचारों से कौन डरता है ? The Factory: 147 workers of India's biggest automobile manufacturing company Maruti Suzuki are trial for the murder of a senior manager and 2500 workers dismissed. It has been two and half years and the case drags on. Their bail application has been rejected by the courts. On each hearing they are led to the court room by the police while families line up to catch a glimpse. The defence lawyers plan their strategy in the court canteen. Justice seems a dim hope. 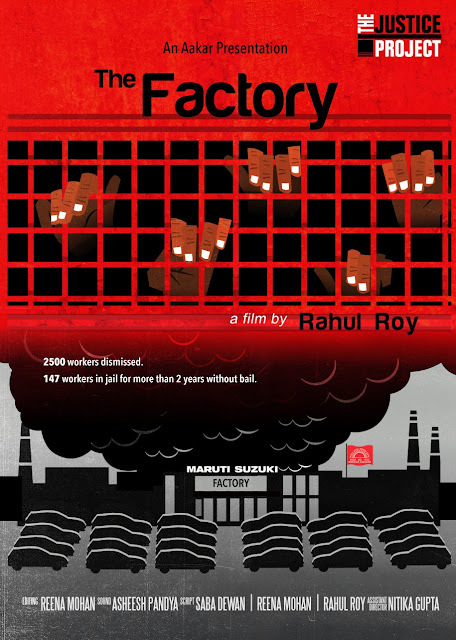 The film follows the fate of the under trial workers, families and dismissed workers to investigate the underbelly of industrial conflict and the elusive nature of justice.